A NOR gate simply produces a true output only when all of the inputs are false. 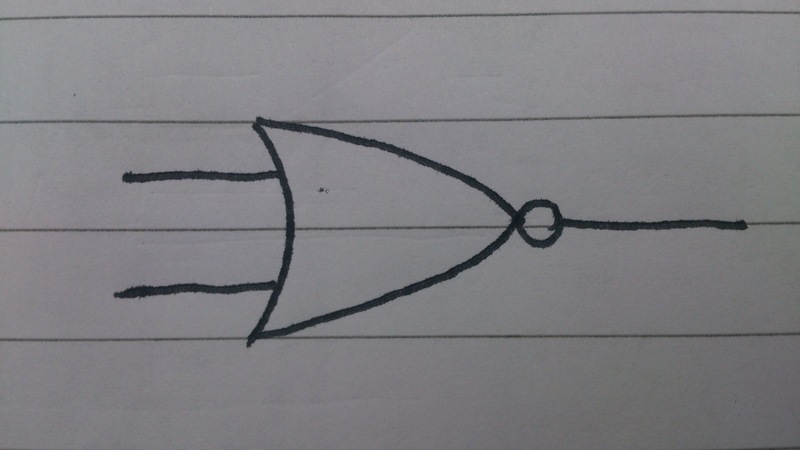 It is effectively just an OR gate in series with a NOT gate. This entry was posted in electronics, Logic Gates and tagged Basics, Electronics, Logic Gates, NOR, thelectronics. Bookmark the permalink.